Ok, so I've been jabbering at y'all for months about this, and here's my final post! I LOVED Code Name Verity, see my initial, nearly incoherent review here.﻿ I adored the characters, and the plotting was absolutely unbelievable. Seriously. Mind blown. I'm planning to reread this one soon, just for sheer love of the book. It completely blew me away. I read a LOT of books in 2012, and this one still stays with me. I thought it couldn't possibly live up to the hype, but it did. I gave it to my mom for Christmas! Code Name Verity also won the Pyrite Printz Award over at Someday my Printz Will Come and I can only hope it will win gold come Monday. Y'all, honestly, if you haven't read it yet, you're doing yourself a disservice. Request it here. Good luck to Elizabeth Wein on Monday--I'm rooting for you!!! So I know I read this one late in the game, and that I just reviewed it yesterday, but I think it's strong. It was incredibly engaging. I also think it has a good chance at the Excellence in Nonfiction Award. Request it here. I talked about this one in my gushing adoration-of-Australian YA post (y'all, I SERIOUSLY LOVE AUSTRALIAN YA). Lanagan has quite a history with the Printz Honor, and this is the book of hers that I've enjoyed the most. It's lyrical and literary and just disturbing enough to make you really think. I think it's got a good shot at an honor. Request it here. I talked about this one yesterday, too. 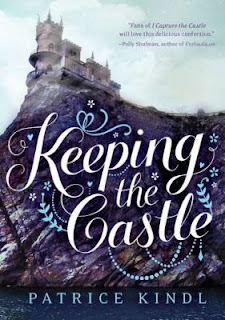 I may not have connected with Astrid Jones as much as I did with Vera Dietz, but that doesn't take away from the fact that it's a solid contender and that the writing is splendid. 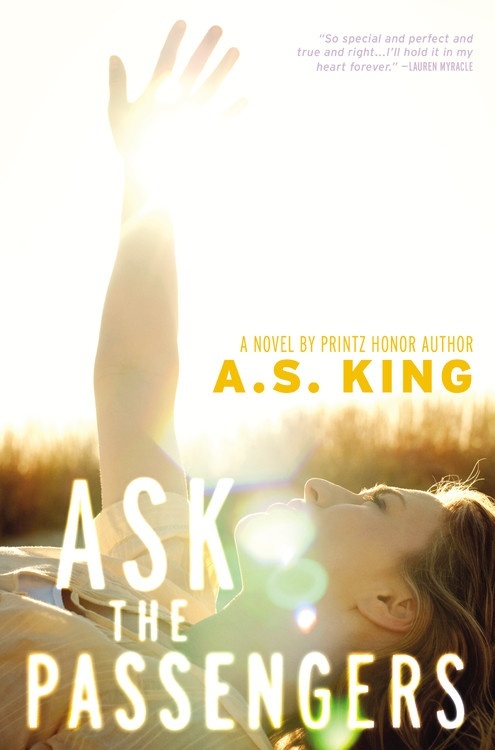 Maybe A.S. King will have another Printz Honor under her belt soon. Request it here. 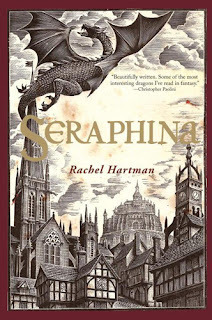 Seraphina was one of my favorite reads of last year, and it was definitely in my top two fantasy reads (the other being Froi, obviously). And yes, it's the beginning of a series, but it stands alone beautifully. The world-building is amazing, and the way that the characters are developed makes it a strong candidate for a Printz Honor. It's already been named a Morris Award finalist, and I think that it has a good chance at the Morris Award too!! 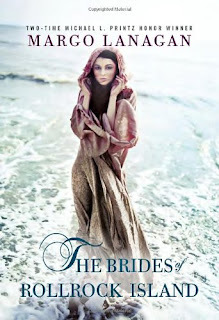 Request it here and wait with me with bated breath for the second book this summer. So those are my predictions. I have literally never been right in the past, but I hope that I'm wrong this year!! I'll report back here with results next week. Fingers crossed! Just a a few more reviews! The big day is Monday!! So, Chopsticks probably doesn't have a really good chance at winning the Printz, but it is a really cool book that's gotten a lot of buzz, so I wanted to cover it. 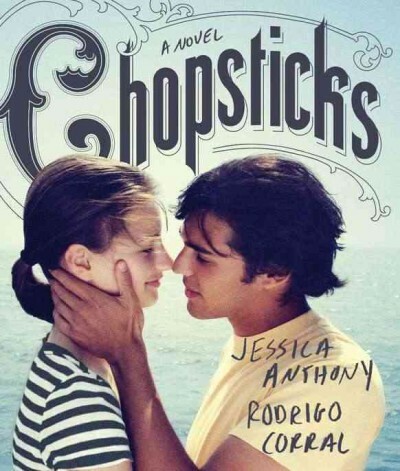 Chopsticks is the story of Glory, a piano prodigy, who is drawn to the new boy next door, Frank. The fun part of this story is that it's told completely in words, pictures, drawings, doodles, notes, postcards, instant messages, links to real youtube videos, and other mementos from their relationship. It's a completely unique way to tell a story. And as the story goes on, the reader wonders how much of it is true, and how the events that unfold are affecting Glory's fragile mind. The way that the alternative format is done is brilliant. The design and layout are brilliant, and it's really easy to see yourself when you're looking at the different ways that people communicate with each other. Get it at the Pearl Library or request it here. Emily's Dress and other Missing Things is a book that I really enjoyed. It did receive a starred review, but it really hasn't been talked about a lot, which I feel is just a shame, because it's great. Maybe it's because it's hard to pin down, genre-wise. Claire finds herself in Amherst (home of Emily Dickinson) a year after her best friend Richy disappears. The stress of that (and of being a person of interest in the disappearance), and the trauma of her mother's death have messed her up a bit, understandably. But even she doesn't really understand the compulsion that leads her to steal a dress from the Emily Dickinson house. 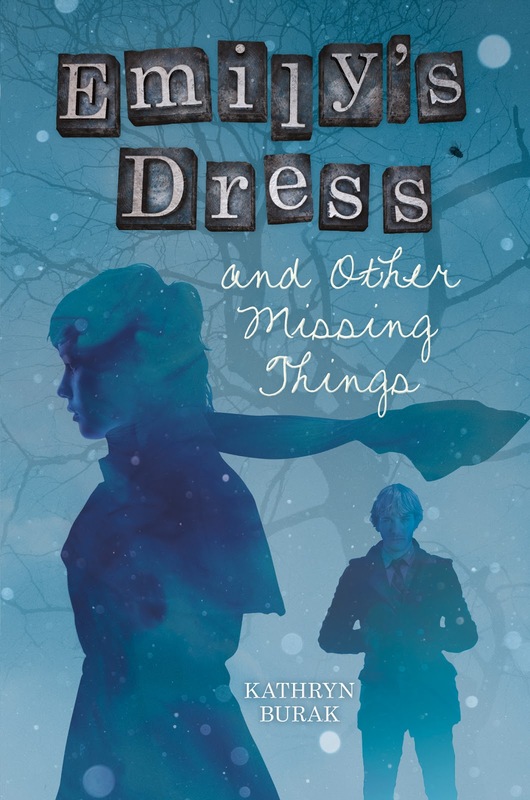 Along with Tate, the student teacher in her literature class, she tries to figure out what to do with the dress, while slowly uncovering clues about Richy's disappearance. This one has mystery, a hint of romance (but not too much), but also, poetry. It's lyrical and incorporates some of Dickinson's poetry, but Claire's work sums up how helpless and alone she sometimes feels, and it is lovely. You'll like it, trust me. Request it here. Ask the Passengers is definitely worth a second look. Not only did it get six starred reviews, its author, A.S. King nabbed Printz Honor two years ago. Astrid Jones feels alone in her family and her tiny town. She feels lost and she is confused about her place in her family, her sexuality, her dad's desire to do drugs to check out, her relationship with her mother, what everyone else thinks about all of it. To deal with that, she sends love to passengers, 30,000 feet above her, that pass in planes overhead. This is a story about love and acceptance, and it's beautifully written. Astrid's voice is strong, even in her confusion. She is struggling to find out who she is, and she's not afraid to ask questions--which is wonderfully refreshing in a teenage girl character. She's upset to watch how people are put into boxes, so she questions and explores it. It's not without flaws--especially Ingrid's parents. You have to ask: can I suspend my disbelief to think that the things that these parents are in any way realistic? Are they really showing favoritism in such obvious ways? It's not my favorite King novel (if you still haven't read Please Ignore Vera Dietz, get on that! It's phenomenal! ), but it's very good, and it's a strong contender for the Printz Award. Don't be surprised to hear this one called out at the awards ceremony Monday. Check it out here. Look! It's my one nonfiction book that I read for the 2013 Printz Watch! But it's a great one. 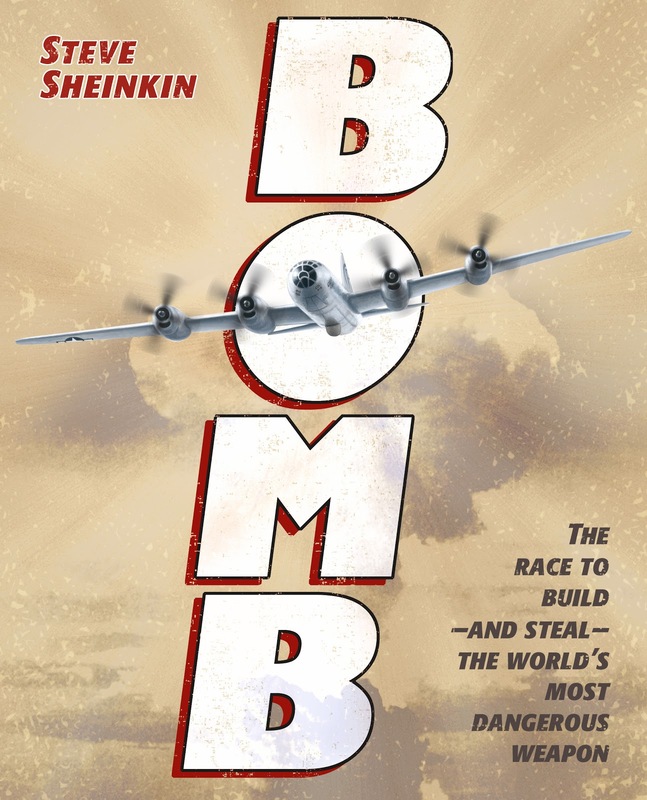 A National Book Award Finalist and it's on the shortlist for the Award for Excellence in Nonfiction for Young Adults, Bomb is a knockout. It traces the discovery of the splitting of uranium atoms to the Manhattan project. 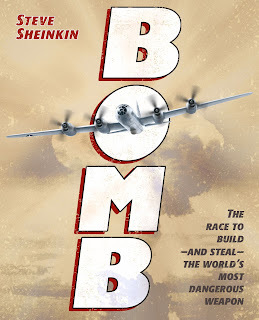 The race to build an atomic bomb was fraught with espionage, fear, and the beginnings of the Cold War. Who knew that frostbitten Norweigan men were responsible for keeping atomic research out of the hands of Nazi Germany? Who knew that there was so much illicit information being passed to the Soviets about the research in Los Alamos? This was such a thrilling and unbelievable read that I had to keep reminding myself that it was actually nonfiction! There were so many larger-than-life personalities involved in this--military, presidential, and scientific--that it's hard to believe it really happened. 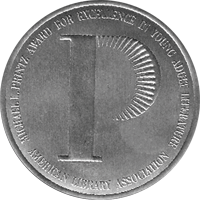 A nonfiction work has never won the Printz Award, but nonfiction has taken honors five times (the last time was in 2010). I think Bomb has a shot at getting a seal. Request it here. Come back tomorrow when I make my Printz predictions and final comments!! 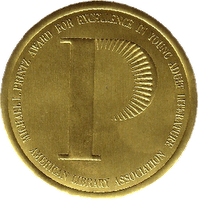 The 2013 Printz award winners and honorees will be announced this month! On January 28th, all of the Youth Media Awards will be announced! I'm going to do my best to cover a few more books before then and then talk about my predictions and thoughts right before the announcements. Anna Jarzab wrote All Unquiet Things, which y'all obviously love, because it's constantly checked out. 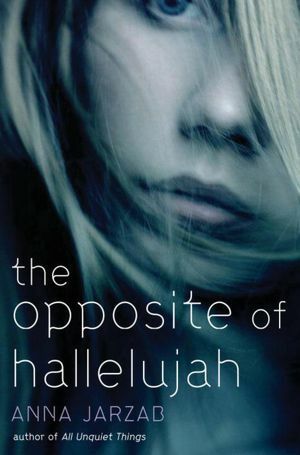 So when I got an opportunity to read an early copy of her new one, The Opposite of Hallelujah, I jumped at it. It's about Caro. Caro's much older sister Hannah left home years and years ago. Caro barely remembers her and she feels a lot like an only child--and she's fine with that. But all of a sudden, Hannah is returning and Caro's world is turned upside down. Guys, I loved All Unquiet Things, but this book is a completely different story. It is quiet and personal and lovely. Hannah has been living in a convent, which is mystifying to Caro, and Hannah won't talk about what sent her there or why she came back. Caro is so confused by this behavior that she begins to tell lies about her sister, and she gets caught in them. But this book isn't about the lies, or about the convent, or even about the hot transfer student that Caro suddenly notices. It's about family and grief and truth and art and faith and science and relationships. It's about God. It's about how events affect people. Caro's relationships with her parents, with Hannah, with Pawal, and with her priest are integral to this story, and as she grapples with understanding all of these things and these people in her life, she starts to understand herself and her sister a little better. I loved this one and I'm planning to reread it soon. It didn't get as much recnognition (or starred reviews) as some of the other "big" titles and it's a bit of a dark horse for the Printz, but I certainly think the committee will be taking a look. Check it out here. 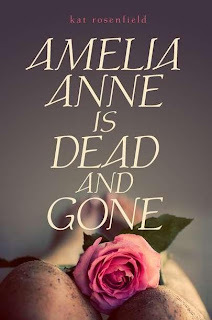 Amelia Anne is Dead and Gone is another one of those haunting stories that stick with you. Becca has just finished high school and she is ready to get out. But she's not prepared when her boyfriend dumps her right after graduation. And she's even less prepared when the broken body of a young woman is found in her small town the same night. Becca has always been academically driven, ready to leave, to find out what's in the world beyond her small town, but now, even her home is feeling unsafe. With the whole summer ahead of her, Becca has to figure out what she really wants--and how that relates to Amelia Anne. Because a lot of the story--both Becca's story and Amelia's story--is told in flashbacks. Becca latches on to the mystery of Amelia partly because she needs to know how this could happen in her town, but partly to figure out what all of this means for her. The writing is beautiful. Becca's uncertainty, heartbreak, terror--they all feel completely genuine. This is another one that I haven't heard as much Printz buzz about, but it's still wonderful. Click here to request it. “I love you Althea—you are so beautiful,” murmured the young man in my ear. Unfortunately, I apparently said this out loud, if just barely, and his hearing was sharper than one would expect, given his other attributes. That's hilarious! Althea is resourceful, smart, and has a sense of humor that you'll love. Check this one out here. Join me next week where I talk about just a few more Printz-worthy titles!